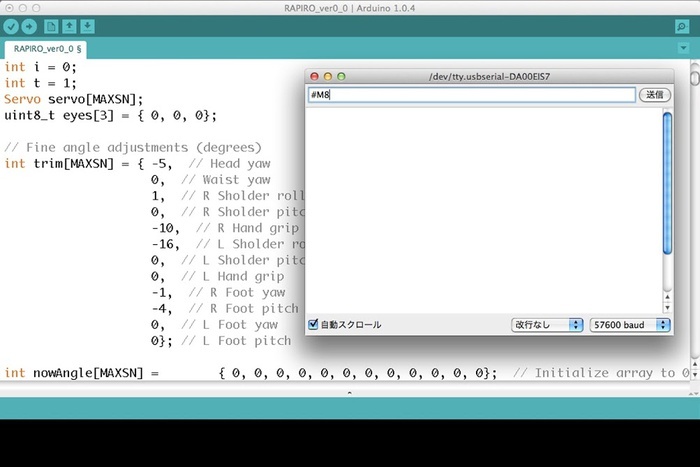 After uploading Standard firmware for servo motor controller board (Arduino sketch) to Servo Motor Controller Board, Rapiro acts on serial commands. It's possible to send those serial commands via serial terminal on Arduino IDE. Please set baud rate 57600bps of the serial terminal.